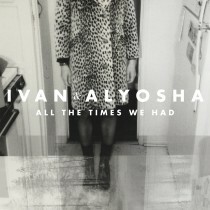 Seattle-based five-piece rock combo Ivan & Alyosha are finally complete, having organically grown from the original duo of Tim Wilson and Ryan Carbary, adding Tim’s brother Pete and Tim Kim, then drummer Cole Mauro as a full-time member for their sophomore Dualtone Records album, It’s All Just Pretend, an uplifting exploration of the things that fuel their classic sound, steeped in the verities of family, faith and existential doubt. 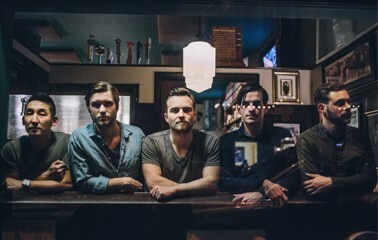 Ivan & Alyosha woodshedded for close to a year in making the new album in a variety of locations, from Carbary’s own Seattle area condo home studio to first-album producer Chad Coplein’s Black Watch Studios in Norman, Oklahoma and L.A.’s famed Sunset Sound with mixer/co-producer Joe Chiccarelli, who has worked with U2, My Morning Jacket, Elton John, The Shins, Etta James and The Strokes. Tim’s “All This Wandering Around,” the first single, offers a haunted Roy Orbison-like croon featuring Tim Kim’s swampy delta blues guitar break wrapped around a song of the search for a power greater than oneself, and the stumbles in finding it along the way. According to Tim, the album title (which comes from Pete’s song) depicts a modern world where reality is hidden behind materialistic illusions, illustrated in songs like his “Modern Man,” a funky, ‘80s Bowie-meets-Hall & Oates R&B number that takes aim on our fetish for technology and outward appearances. That rawness and vulnerability can be heard on Tim’s “Come Rain, Come Shine,” a song that evokes one of George Harrison’s blissful Buddhist mantras, a glimpse of our own communal nature, that we all occupy this earth together. “We wanted to come up with something that was universal,” explains Tim, who co-penned the song with Nashville songwriter Dave Berg. “We wanted to bring things into perspective, with all of the nonsense going on in America and the world, that we’re all part of this global community. 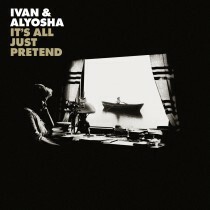 On It’s All Just Pretend, Ivan & Alyosha continue to make timeless music that shows that rock and domestic bliss can indeed co-exist, as they overcome any obstacles by the sheer joy of their roles — not only as performers, but brothers, husbands, fathers and sons.